A long rod inserted and bearing on the end of the lock lever where the cable is attached. 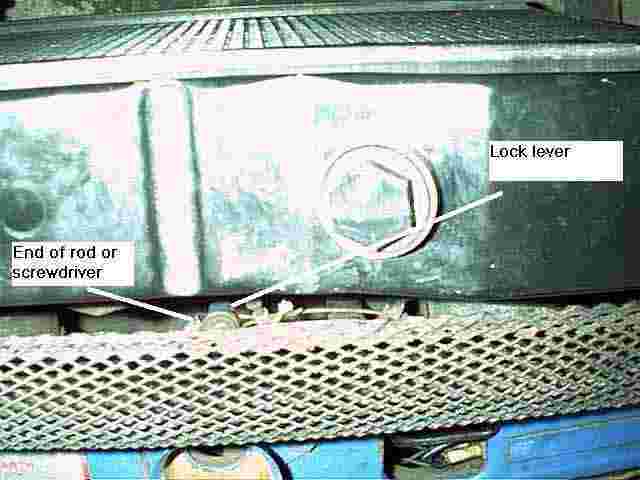 What you are trying to do is use the rod to push on the end of the lock lever to release the bonnet/hood pin. 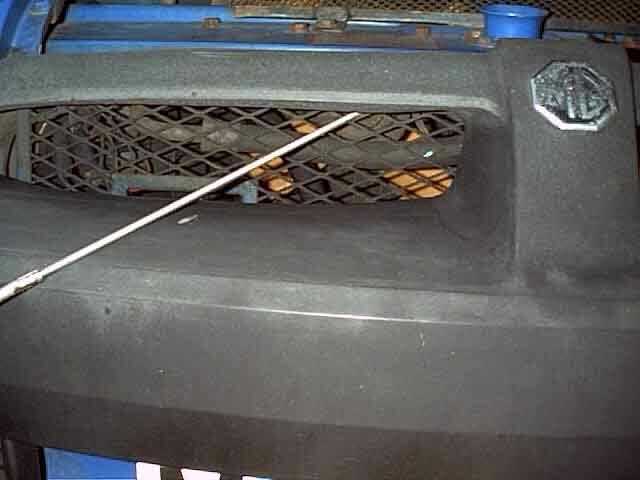 The horizontal angle of the rod which is inserted through the mesh right at the very top the 4th hole left from the centre mounting of the mesh. On mine the mesh makes 'diamond' shapes and the very top row only has the bottom half of the diamond, the top half is covered by the frame to the mesh. The vertical angle of the rod. 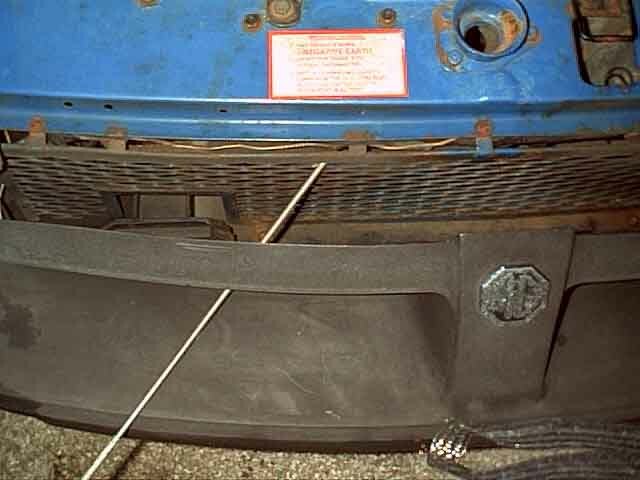 The end outside the car is angled down as far as it will go, it is in contact with the bottom edge of the bumper aperture.